The office of Malcolm Harbour has sent out information regarding an Impact Assessment which is on the IMCO (Internal Market and Consumer Protection) website and will be discussed at the next IMCO meeting on the 28th February 2012. 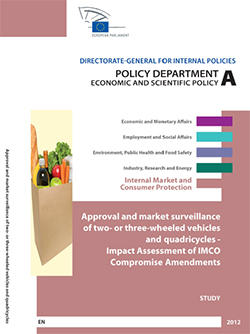 The Impact Assessment looked at three measures contained in the European Commission’s proposal for a “Regulation on the approval and market surveillance of two- or three-wheeled vehicles and quadricycles” and the relevant three compromise amendments to these measures which were submitted by MEPs to the IMCO Rapporteur, Mr van de Camp’s report. Because these were substantive amendments to the proposal, the Chair of the IMCO committee, UK MEP Malcolm Harbour, asked for an Impact Assessment specifically in relation to these three amendments. Mandatory fitting of Advanced Brake Systems (Combined Brake System (CBS) and/or Anti-lock Braking Systems (ABS)) – moving the ABS introduction date forward by a year – extending Advanced Brake Systems cover to Powered Two Wheelers more than 50cc. On-Board Diagnostic systems (OBD) – proposed measures increase and speed up the adoption of on-board diagnostic (OBD) systems – including OBD II for L-category vehicles. 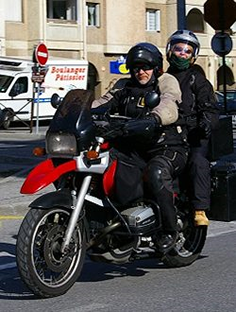 The scope of the impact assessment was limited to vehicle categories L3e – two-wheel motorcycle (A1 – low-performance motorcycle – A2 medium-performance motorcycle – – A3 vehicle (high-performance motorcycle) and L1Be – two-wheel moped. The speeding-up of the introduction of subsequent stages of European emission standards for L-category vehicles. As we previously reported, “The reason for the Impact Assessment on these amendments is that none of these specific amendments have ever been costed. 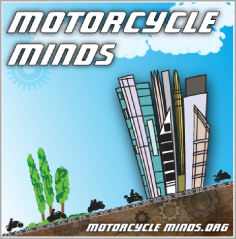 In the meantime we are reading through the Impact Assessment which you can download – Click Here – pdf 2.18mb.